FROM NORTH - Take Highway 26, south on Highway 217, Allen Blvd exit to right, left at light over freeway, hotel on right. FROM SOUTH - Northbound on Highway 217, Allen Blvd exit to right, hotel on right. FROM EAST - Take Highway 26, south on Highway 217, Allen Blvd exit to right, left at light over freeway, hotel on right. FROM WEST - Take Highway 26, south on Highway 217, Allen Blvd exit to right, left at light over freeway, hotel on right. Several major Rental Car Stations are located directly across the street from the airport luggage terminal. (7102 NE Airport Way, Portland, OR 97220). If your rental car company is located in this area, you can pick your car up on-site. Very Convenient! 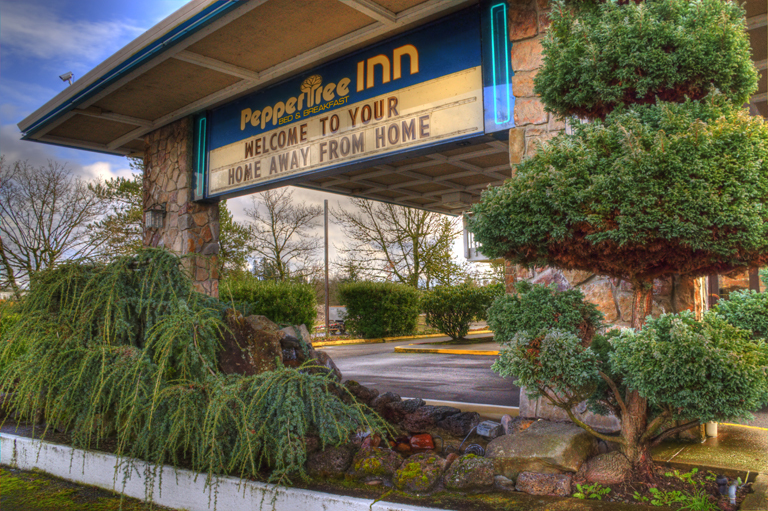 For convenient transportation, Peppertree is located only 2 miles from the Trimet Metro Station.